Parking lot business / company startup articles. Financing, marketing, new and used striping equipment, business plans and other articles. The question many stripers have is what type of policy to get. If you are mainly striping and doing a little sealcoating manually now and then you may want to look into a specialty painting contractors policy. If you begin using heavy equipment that can injure someone you will need to step up to a more comprehensive policy. An insurance agent can help you determine which is best for you. Find an agent you can trust and make sure they don’t sell you more or less than what you need. The liability limit is something that customers look at. Get what you can afford and if you need to bump it up you can do that by calling your agent. In conclusion, for a small striping company the liability coverage that a policy provides is comforting, but very few companies actually do any damage or hurt someone where they use that part of a policy. The main reason for having the policy would be making the customer happy and getting jobs. For a larger company with heavy equipment liability is a must and is the most important reason to carry insurance. If your machines injure someone the policy will cover you. Without it you would be out of business. Getting jobs would be secondary in this situation. Used equipment is often available at prices that are a fraction of the retail cost. The question is whether this equipment is worth the investment. The answer depends on what equipment you are talking about, the condition and the price. Used, worn out equipment will be more of a headache than it is worth even to someone who knows how to work on equipment. However, well maintained, quality, rugged equipment may be a valuable asset to your company. Simple machines like roll around blowers, sealcoating tanks and trailers are fine to buy used. They can be repaired and refurbished and will last a lifetime in many cases. More complicated machines like stripers are important to your company and you cannot afford for them not to work. Equipment like this may need to be purchased new or refurbished. The more mechanically inclined you are the more you can rely on used equipment provided it is priced right. If you are not mechanically oriented then used equipment may not be for you. Especially if the equipment is key to the operation of your company. If a blower stops working, that is easily remedied with a backup blower but if your striper stops working and needs to be rebuilt then you are out of business for a week or so. This can mean thousands of dollars in lost revenue. Some companies will have a nice primary striper and then as a backup they may purchase a used simpler striper for times when the main unit is down. The Trusco Manufacturing machines are nice for this purpose. They are simple and very easy to work on and make a great primary or backup machine. The same applies to sealcoating machines. Since this equipment is so important, a backup method of application is often a good investment. Used equipment is fine for this purpose. There are quite a few parking lot striping machines on the market. The decision of which to buy can be a difficult one and is influenced by both your budget and your striping needs. This article is meant to point you in the right direction. We have reviewed many of the striping machines on the market today and have individual articles posted in our “Parking Lot Striping Machine Review” category. You can see these reviews by CLICKING HERE. Also, when looking for a machine you will come across both new and used striping equipment (stripers). A used machine is fine but a worn out machine is not. Make sure you are getting a good quality used machine and not someones problems. Also, make sure it is a good brand like Graco, Proline, Kelly Cresswell or Trusco Trueline. You need to be able to find parts. The first category would be machines that are not capable of doing commercial work. This would be the spray can type machines or the type with a paint roller instead of a spray head. These machines are fine for what they were intended to do but should not be mistaken for commercial production machines. That is not to say that you should not buy one. I say this because the little machines sometimes come in handy for different odd spray jobs you may encounter. I use one myself. When I have one last line to do and there are cars in the way I will take out my spray can striper and do the last stripe. I also use it for putting down the small dotted lines for curved stripes. Then I use my big machine and connect the dots. The reason you would not use the machine for commercial work is mainly the expense of laying down a stripe. You have to go over the line at least twice to get a satisfactory stripe. The cost per stripe is several times more than a standard machine. The next type of machine would be the low end commercial machine. These would be the pump up models for the most part. I would also put some of the small airless machines in this category. 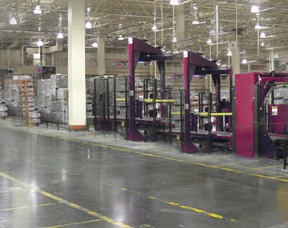 These machines will put out a good stripe but are not adequate for high production work. Trusco Manufacturing has a machine called the Model 20 which is in this category. It is great for shopping center owners who want to maintain their own parking lots and for small striping contractors doing small jobs but for large jobs it is a little on the small side. You would need to pump it up every few stripes which can become tedious after a while. I have seen where people have purchased the pump up models and later convert them with a pressure tank. This seems to work fine but buying a machine that is made for higher production work may be the better solution. There is a gasoline powered machine in this class called a Powerliner that has a small Robin-Subaru engine. It will put out a nice stripe, but is still a step below a full size model. The third type of machine is what I would call a standard high production or full size parking lot striper. These are machines that are capable of putting out high production. There are several companies that manufacture these machines. Graco is probably one of the more popular companies. They manufacture the Graco Line Lazer or Laser. It has a powerful Honda engine and a high pressure pump that will pull paint straight from a bucket and spray perfect lines. Proline, Titan, Airlessco and Trusco all manufacture nice commercial machines. Kelly Creswell also makes an air atomized unit that is popular. These machines almost always have a detachable sprayer for doing curbing and stencils. You can also angle the spray head for curbs and bumpers. Having a high production striper can save many valuable man hours per job. The extra money you spend on the nicer machines is often returned to you in labor cost savings within the first year. The last type of striper is going to be the large road stripers. Many of these are the type you ride on, tow or mount to a truck. 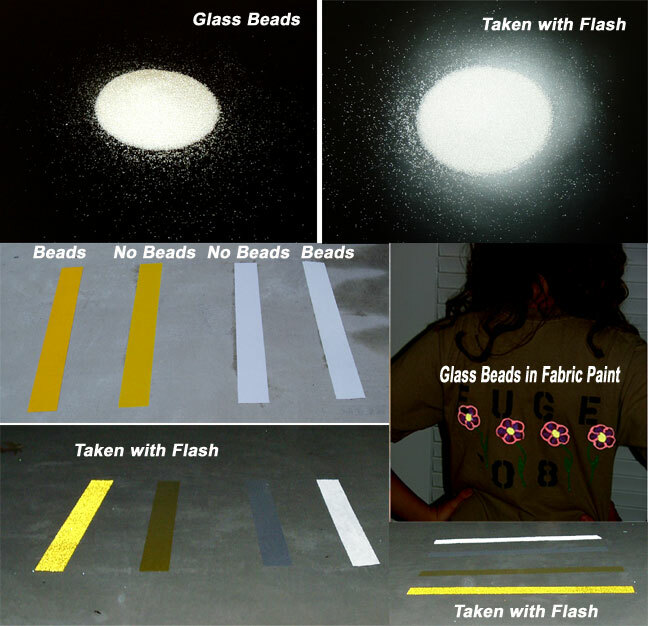 While they are a necessity for road striping, they are too large for parking lot striping. In conclusion, if you are only planning on doing small lots and always plan to keep your company small then the small pump up type striper is fine. If you are wanting to make more money and stripe larger lots the full size units are a must. Also, preventive maintenance is crucial with the stripers. Clean them after each use and keep the engine and pump maintained. If you can learn to work on your parking lot striper yourself, you will not only save on repairs but you will also reduce company downtime which is normally more costly than the repair itself. The Americans with Disabilities Act also known as the ADA makes it illegal to discriminate against a person with disabilities in areas of employment, transportation, public accommodation, communications, and government activities. In this article we will be discussing the implications that this act has on parking lot striping companies. In other words, what do you have to do when striping a parking lot to be compliant with the ADA. Accessible parking spaces for cars must have at least a sixty (60) inch wide access area located next to the designated parking space to permit a person using a wheelchair to enter or exit the car. These parking spaces need to be clearly marked with a sign and need to be located on level ground. Sufficient vertical clearance to accommodate van height at the van parking space and the adjacent access aisle. This vertical height is also needed on the route to and from the van accessible space. A sign with the international symbol of accessibility must be mounted high enough so it can be seen while a vehicle is parked in the space. Most counties have the exact height they require in their code. If the accessible route is located in front of the space, wheelstops should be installed to prevent vehicles from reducing the width to below 36 inches. The access aisle which is to be at least 60 inches wide must be level with no more than a 1:50 maximum slope in all directions. It must be the be the same length as the parking space or spaces it serves and must connect to a route to the building. Ramps cannot extend into the access aisle. The Boundaries of the access aisle must be marked. The end of the access area may be squared off or a curved shape. Finally, two parking spaces can share an access aisle. The access area would be between the two cars. Accessible spaces must be located on the shortest accessible route of travel to an accessible entrance. In situations where buildings have more than one accessible entrance with adjacent parking, the accessible spaces must be dispersed and located closest to these entrances. In instances where accessible parking spaces are added in an existing parking lot, the spaces must be located on the most level ground and must be close to the accessible entrance. An accessible route has to be provided from the accessible parking to the accessible entrance. An accessible route should never have curbs or stairs. Also, it must be at least 3- feet wide, and have a firm, stable, non slip surface. The slope along this route should not be greater than 1:12 in the direction of travel. Accessible parking spaces may be clustered in more than one lot provided equivalent or greater accessibility is provided in terms of distance from the accessible entrance, parking fees, and convenience. Van-accessible parking spaces located in parking garages can be clustered on one floor if necessary to accommodate the ninety eight (98) inch minimum vertical height requirements. In this article I will to discuss creating your own parking lot logo & handicap stencils out of LDP or Low Density Polyethylene. This is not a complicated process and the most difficult part is finding the materials. Making your own parking lot stencils is very simple and very economical. You will need to locate sheets of LDP or Low Density Polyethylene. It flexible translucent material. Look in the phone book or search google for “plastics” or “commercial plastics”. You should find companies that carry plastic in sheets, rolls, etc.. GE Polymer Shapes is one of the most popular sources. A 4 x 8 sheet runs around $20. The material looks and feels like the plastic lid on a Folgers Coffee Can. Clear but also a little milky. You can see through it a little which is important as we discuss the next step. Once you have bought some LDP sheeting you will simply take it to an existing marking like a handicap logo and lay the LDP over the logo. Then trace it out with an indelible marker. Take the sheet home and score around the outline with an exacto knife, pierce a corner and then peel the piece out. If you have cut deep enough the scored section will peel right out. Using this method you can create almost any stencil. The stencils your create will be almost indestructible because of the strength of LDP. You may want to consider purchasing stencils with small letters or lots of letters just to save the labor. As far as finding sample logos to trace, you should have more luck and get more accurate markings if you use parking lot markings that have just been put down and inspected. There is a better chance of these markings being compliant with current code. What type of equipment to purchase is probably one of the most difficult decisions that you will make as you start your business. Spending too much can leave you close to insolvent before you even get your first job. Spending too little can prevent you from being able to do the work people are paying you to do. We had previously discussed equipment in the article on funding. I have listed below the basic equipment that an average striping and sealcoating will need. * My favorite setup is a nice truck towing an enclosed cargo trailer with a ramp gate. Your equipment stays dry and safe and the sides and back of the trailer are great places for advertising. These are the basics. Don’t try to skimp on a blower and use a broom. Your time is more valuable than that. Don’t think you are going to get your equipment out to a site with a very small trailer or in the back of a car or Jeep. You won’t. Don’t try to put down lines with a roller or a small spray can striper. The job will not look professional. Don’t skimp on supplies and then wait until you get to your first job at midnight to acquire them. Only Walmart is open. Remember, time is money. Your time on the job is valued at about $50 per hour. If you save $50 and spend two unneeded hours then you are $50 in the hole and will go deeper each time you do a job. Good equipment will save you time on the job. Think like a successful businessman. Don’t cut corners when you don’t have to. Be thrifty but not cheap. If you don’t need it, don’t buy it but if you know you are going to need it, get it. You would think that making straight lines with a striping machines would be automatic. Try this. Close your eyes while you are mowing your lawn and walk about 40 feet. When you open your eyes you will still be going the same direction but your line will most likely not be perfectly straight. The same applies to a parking lot striping machine. It is made to go straight but must be guided by the operator in order to create a perfect line. To create a perfect line with a striping machine you have to follow a benchmark like the old stripe, a chalk line, painted dots or a cord pulled tight. Again, when you are mowing grass, you always follow the edge of the last row. If you pull away you will miss areas and have to go back. If you overlap too much you will create more work for yourself. So a good lawn mower keeps their eye focused on the last row and follows that exactly. The same thing applies for striping. For re-stripes the old line is normally clearly visible and is easy to follow. If it is a little crooked you can do some correction with no additional benchmark. However, if it is too far out you really should either pop a chalk line and follow that or pull a cord tight and use that as your benchmark. I have personally found that using a chalkline is too time consuming and normally requires two people to do. My favorite way to mark straight lines is to take a roll of cord and pull it tight from one end of the line to the other. I use an extension cord reel that you can get at Lowes or Home Depot and I roll a hundred or so feet of rope onto it. If I have someone with me I weight my end down and have them hold the other tight. If I am by myself I weight both ends down. After I stripe the line I just move both ends over and pull tight. For curved lines I use dots sprayed on the ground with a spray wand. I double check the marks then start at one end and connect the dots to the other. Once you have come up with the money to start your parking lot striping / sealcoating business you are going to need a commercial account to put the funds in. Your account will be the main source of data for your bookkeeping system. In the beginning all deposits will be from start-up capital. This amount will be classified as paid in capital or loans to the company on your balance sheet. All subsequent deposits will be from striping or sealcoating jobs completed. This amount will be classified as sales or revenue on your income statement. Checks written will be the expenses of the company and your draws. This will be recorded as expenses or owners draws on the income statement. The amount left over plus owners draws will be the companies profit which will flow to your personal tax return. As you can see, the entries in your checkbook are important. I would recommend a three check per page book with a section for writing what the check was for, who it was to and the amount. Like the one below. Since you will use your checkbook as data for your accounting and taxes, you need to have sufficient detail. Relying on memory is not a good idea. As you write, you can also code the stub with a category so that you can quickly go through the checkbook and categorize expenses for tax purposes. A large checkbook makes this easier. My checkbook is 9.75 x 13.75 inches and has 7 rings to hold the checks. It is rugged and holds other paperwork as well. The account you open should be a commercial account. Sometimes banks will try to get you to open an interest bearing account but these accounts often have limitations as to how many checks you can write. Whichever account you choose, make sure the fees are fair and that there are no constraints that may adversely affect you. Opening a commercial checking account for your parking lot line striping business. At this point you have calculated how much money you need in a commercial checking account to fund your business until it reaches a positive cash-flow. Now you need to obtain financing. To finance simply means to provide funding. Funding can come either from your own resources or from other resources. Your business has the best chance of success if funded by your own resources (non debt related). This way you can focus on making your business profitable without the burden of debt or a partner. Resources can come from personal savings or the sale of stocks you own. Selling personal assets such as a boat or an extra car are also ways of raising capital. If your business is successful you can buy new boats and new cars. If you are not able to fully fund the business from your own resources then you will have to resort to secondary sources. These sources can be personal credit cards, a bank loan, a business partner, or a silent partner. Personal credit cards or bank loans can be expensive, but do allow you to maintain control of your business. Also, given the profitability of parking lot striping and sealcoating, they can normally be paid back quickly at which point you have control over the business and no debt. Many banks will finance equipment and some equipment companies will finance the machines for you. A business partner is another source of funding. Keep in mind that with a partner you lose control of the decision making process as well as half the profits. Never take on a partner that adds nothing but money to a business. You will regret it later. A silent partner is another way to finance that leaves you in control of the business. However, keep in mind that they are still a partner and will get a share of the profits. If you go this way make sure to pre-plan a buyout agreement so that as you become profitable you can buy their portion of the company back. Finally, whatever form of financing that you choose, make sure you get enough money to fully fund operations to a point of profitability. Remember, running out of money equals going out of business.